Porsche took the convertible version of the next 911, internally known as 992, for some hot weather tests. Last time we saw that the 992 Cabriolet prototype was in winter and although the summer is much more suitable for such a car, Porsche engineers preferred to keep the soft top closed. The Next-Gen Porsche 911 is based on a brand-new modular platform that will mount the engines more towards the center of the car, but still retain the traditional rear-engine setup. Moving the engine closer to the center of the car makes sense because Porsche will not only improve the dynamics of the 911, but also its aerodynamics. All models will continue to use a series of turbo flat sixes, with Porsche planning to easily update them for better fuel efficiency and more power. The latest rumor also states that Porsche is in the search for the range-topping turbo model with the Targa bodystyle as well. The largest visual revision of the 992 is the rear end, which is uniquely inspired by the Mission E concept and features an LED strip across the width of the car, along with a new active tail wing that fits flush with the Body when not in use. The new Porsche 992 will probably debut in 2018 in both coupe and convertible style styles, whereby the Targa version will follow at a later date. 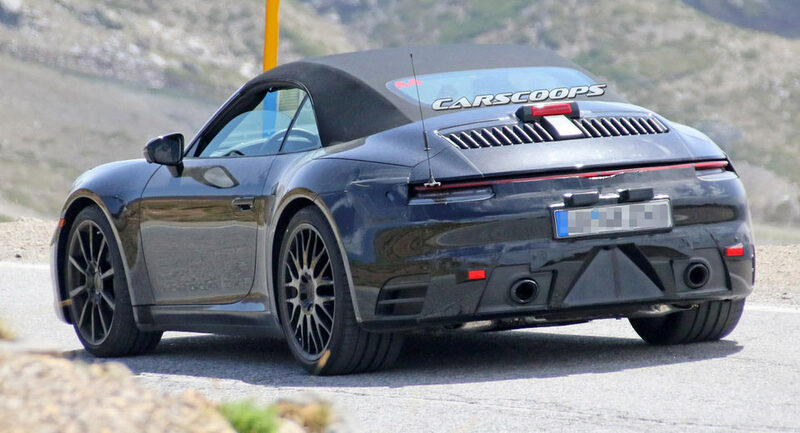 0 Response to "Next Porsche 911 Cabrio Spy Hot-Weather Testing"